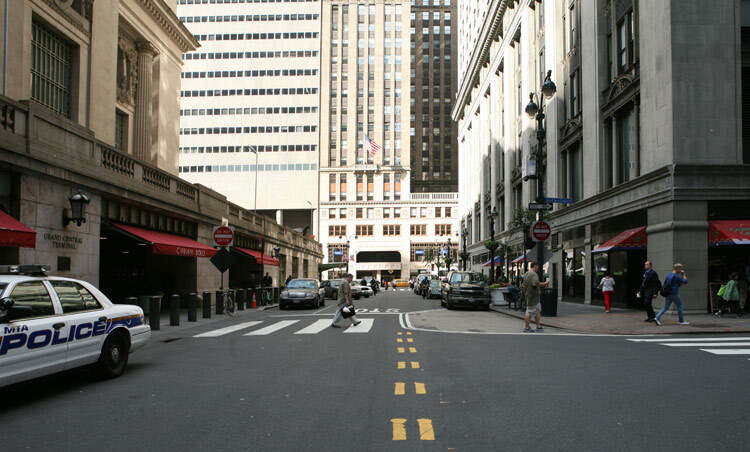 NYC DOT Eyeing Vanderbilt for Pedestrian Plaza. - Archpaper.com NYC DOT Eyeing Vanderbilt for Pedestrian Plaza. The New York Times explored the news of Vanderbilt Avenue becoming a pedestrian plaza through a not-so-rosy Ivy filter today, featuring a photo of the Yale Club rather than the street in question. AN first reported that the “site has obvious potential for a DOT plaza” back in mid-June when we first examined the Grand Central rezoning proposal that City Planning will present to Community Boards 5 tomorrow night.